Choosing a wedding venue is hard enough as it is, so things only get trickier when your wedding isn’t on your home turf — whether it’s in a different country or just the next state over! When considering locales you can’t just pop into to look around, important details might be hard to find, so we’ve put together eight easy steps that’ll help you size up each and every faraway space. 1. Limit your search. 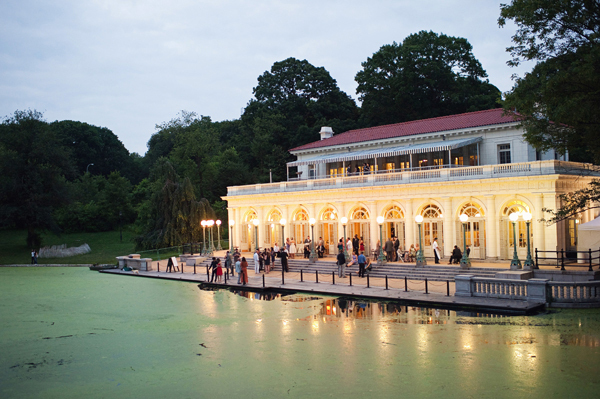 If you were getting married in your own city, you might check out a country club, a museum, a hotel ballroom, and a local park before even deciding which type of venue you want. With a destination wedding, that’s not really a luxury you have. Instead, determine your priorities before your search: Are you dead-set on an all-inclusive resort? Do you absolutely need to have your toes in the sand during your first kiss? Those priorities will limit your selection (in a good way!) and make your search more efficient. 2. Sleuth for every photo online. A picture’s worth a thousand words, right? Find as many photos as you can online to get a sense for what the place looks like. The venue’s website is a good place to start, but don’t forget that those photos are of the best parts and edited to look perfect. Venture to review sites like Yelp where users can post photos and search social media for pictures taken on location. 3. Talk with the venue over Skype. You’ve got amazing technology at your fingertips — use it! Ask to Skype or FaceTime with the venue’s event coordinator or manager to ask those important venue questions. It’s even better than a phone call. 4. Get to know the neighborhood. Sure, the resort or church itself might be beautiful, but what’s the surrounding area like? A not-so-sightly next door neighbor might not stop you from picking a venue, but what about a sketchy, unsafe neighborhood? In addition to researching the venue, research the location and use Google maps to see the street view. 5. Read reviews. 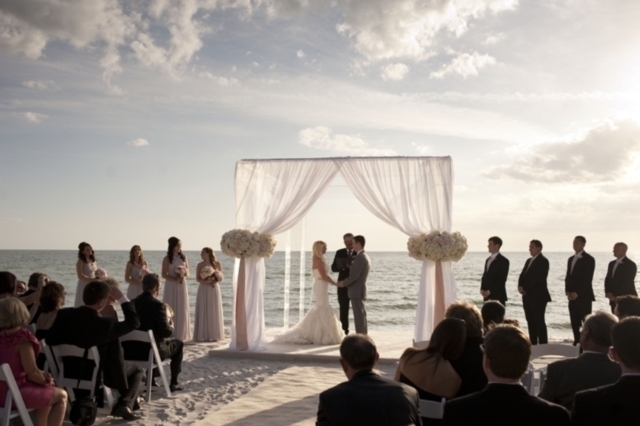 Browse wedding boards and review sites to read other couples’ honest opinions of the venue. Don’t just look at the star rating — actually read the comments to learn what the couples loved and didn’t love. If possible, reach out to these real brides and grooms with any additional questions. 6. Work with a wedding planner. When it comes to destination weddings, a planner who knows the city like the back of his or her hand will totally save your life. Pick a planner you trust and you won’t have to worry about a less-than-ideal venue — it’ll be vetted for you! 7. Check out local wedding media. Pretty much every city has a dedicated blog or magazine just for weddings. Order the latest issue or subscribe to the blog for frequent updates. 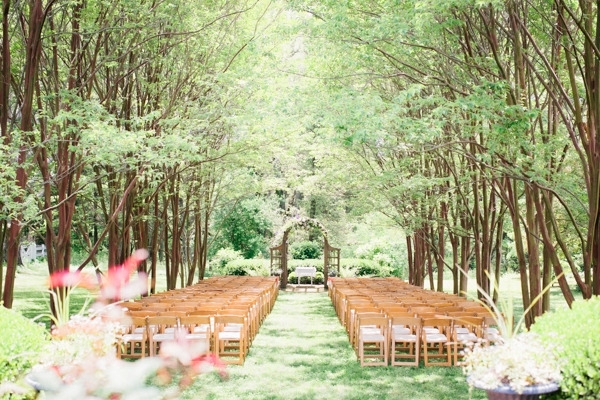 You might even find some new venue inspiration! Or, search the archives for weddings held at the spot you’ve got your eye on — this way, you’ll get a sense of what a real wedding looks like there. 8. Take a trip. If you’re seriously torn or can’t imagine picking a venue without seeing it, plan a trip (or a few) to the destination. You’ll be much more efficient and give yourself peace of mind in the process. While you’re there, knock out as many vendor appointments as you can!